GoByte (GBX) has been around since Nov 20th, 2017 and works without a central bank. 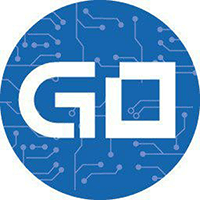 The decentralized digital currency GoByte can be mined for profit. It utlizes the NeoScrypt algorithm and the proof of work (pow) consensus. GoByte are on social media such as Reddit and Twitter, so check them out to stay updated with the latest news. Visit our full gobyte mining calculator. We don't have any price charts listed for GoByte yet, check back soon!